A young teen was with a church group when they went to a water park in North Carolina in June 2016. 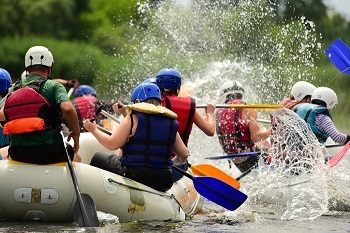 During the trip, the teen was on a whitewater rafting trail and the raft turned over, causing the passengers to go overboard and they were immersed in the water. The teen did not have any immediate injuries or reactions, but once back home in Ohio, she exhibited symptoms and was diagnosed at the hospital with a brain infection caused by Naegleria fowleri. She died shortly thereafter. The Centers for Disease Control and Prevention tested water samples from the North Carolina water park and the samples tested positive for the same bacteria. Can This Negligence Be Responsible For The Wrongful Death Of The Teen? The bacteria are found in warm freshwater and soil and the CDC spokesperson believed that the water park's sanitation process was unable to rid the water of the bacteria due to the amount and concentration of dirt and debris in the water. The teen's family has filed a lawsuit against the water park for failing to properly chlorinate and maintain its water and to train its employees to regulate the facilities. The lawsuit also alleges that the "water in the attraction was too shallow and the water filtration system was not not adequate to safeguard the public." Has a loved one sufferred a wrongful death due to negligence? Contact us online or call us directly at 515-222-1110 to discuss the merits of your potential case.